Seb and I have just come back from a lovely couple of weeks in Australia. It was the first time we’d been back in 4 years and our first trip as vegans. Well, there’s no surprise that we found Australia pretty awesome as far as food goes. We really had an amazing time and there was so much to blog about, however, if I try to put it all in to one post, I will never get around to it, so consider this the first of several Australia trip-related posts. 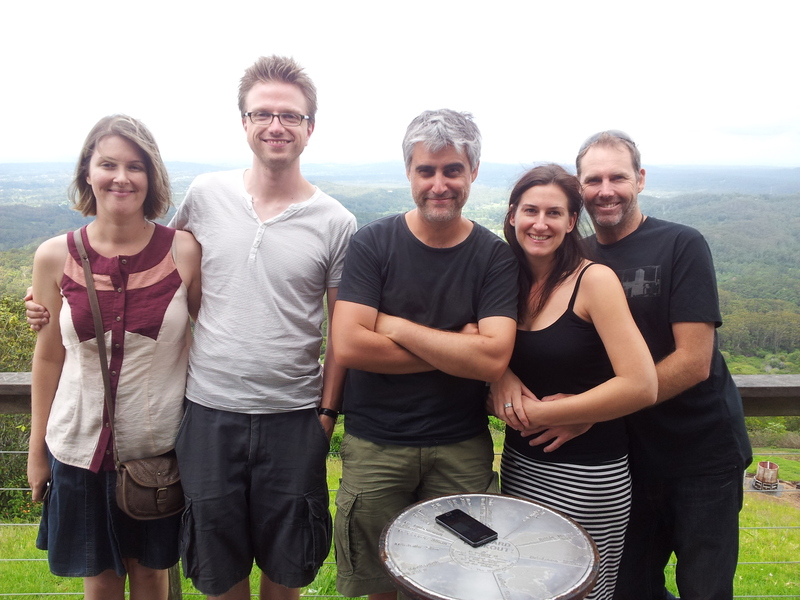 Towards the end of our trip we headed to Maleny to meet some friends. It’s a small town about an hour from Brisbane in the hinterland of the the Sunshine Coast. It was my first visit there. The countryside was beautiful. So green and reminded me so much of Sussex in May. Our kind hosts Jack and Mary (my dear brother and his lovely girlfriend, also vegan) made sure that we checked out the Kind Living Cafe. Here are Mary, Jack, Seb and newly engaged Tash and Steve! Whoot! 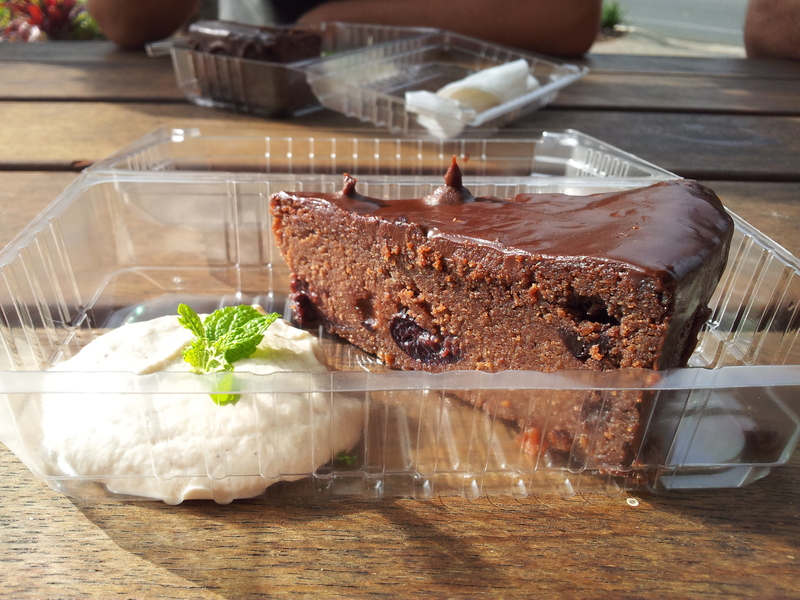 We came to Maleny and saw that the cafe was closed, however, they were prepared to sell us cake to take away. 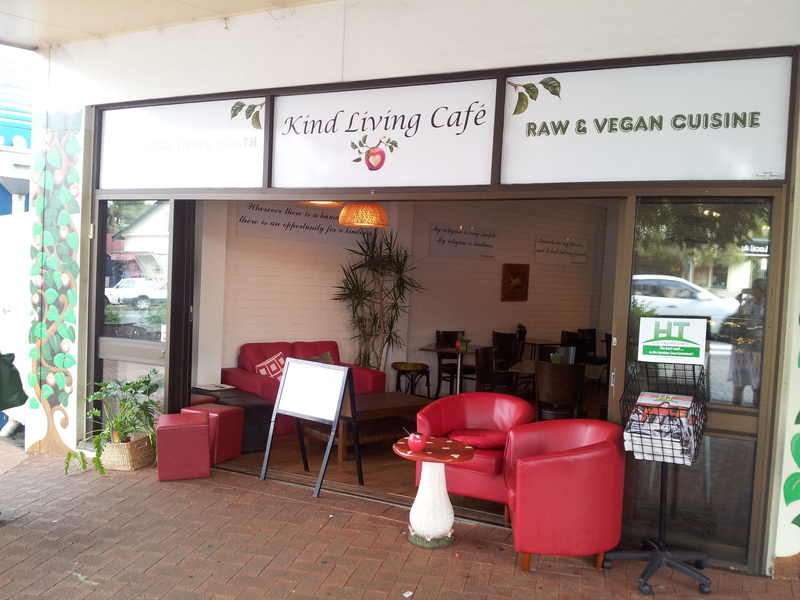 Kind Living Cafe is Raw and Vegan. The woman who owns it basically has my dream life. 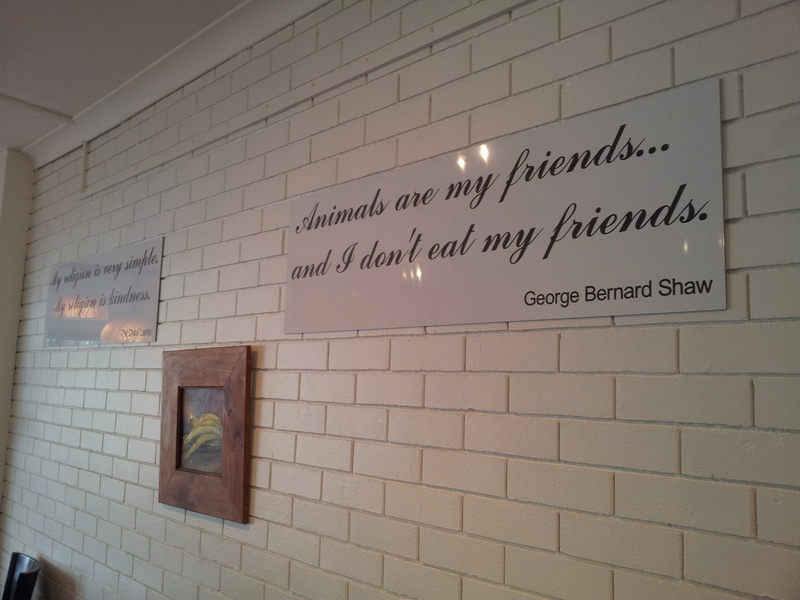 She runs this restaurant, does free diet coaching and has a property which is a sanctuary for animals. I bet it’s hard work though. I love the messages all around the walls. Making connections. I had a long chat with the server. 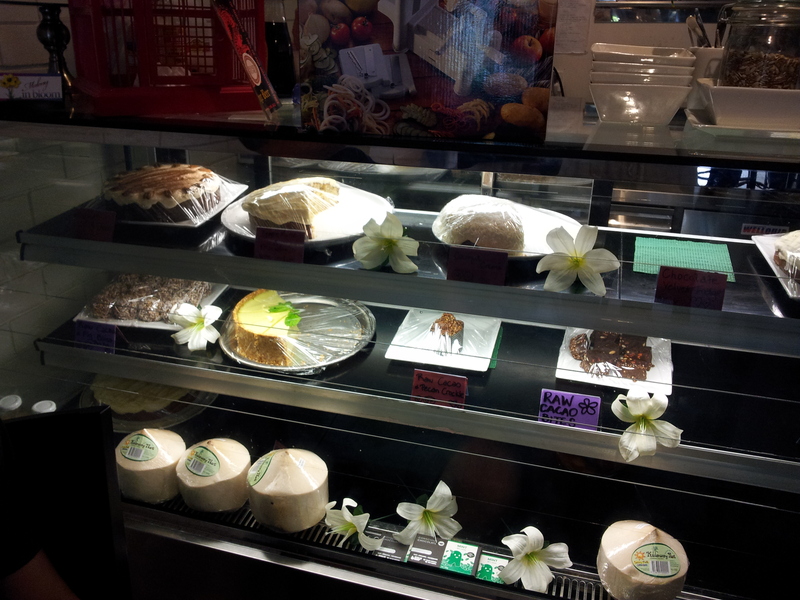 It seems that the cafe is doing really well. Could I have a cafe and become a gazillionaire? This was the cherry chocolate cake with cashew cream. $6.50 only. Our friends Tash and Steve had never eaten vegan cake before and they thought it was delicious. WIN!